Signal Tower raising ceremony tentatively 12 Noon. This will be a spectacular event; the 30 foot station signal tower will be hoisted by a large heavy duty construction crane (provided by Double D Crane Service) from the back of the station, over the roof and then connected to its permanent foundation. Its signal lights will then be activated by a special Guest of Honour. The public is invited to this exciting event. Donations gratefully accepted. Plaque Dedication Ceremony at site in honour of the original railway workers who gave their lives in Burlington during the early days of rail. Donate to create a lasting family remembrance! — a memorial Whinstone in your name, your family name, or in memory of a loved one. 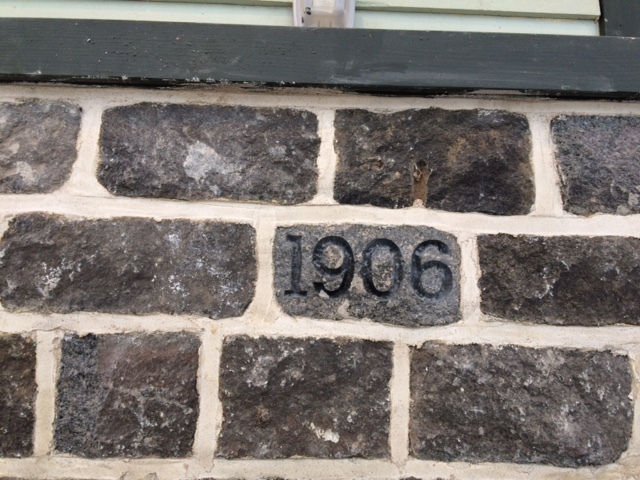 Donations are only $100.00, and are totally tax deductible, for a permanent place on the Whinstone honour wall. Especially relevant if the person once worked for the railways or grew up in the village of Freeman. Click here for details on how to arrange.. Using Canada Helps, you can either make a one-time donation, or if you prefer, you can set up regular monthly donations in any amount you care to make. This is an easy way to support FOFS on an ongoing basis rather than in a lump sum. As always, your donations are tax-deductible, and your receipt will be forthcoming from Canada Helps. You can also designate how your would like the money used, and you can establish a “Memorial” donation as well. Click here to see complete listing on our "Contributors" page. © Copyright 2016. Friends of Freeman Station. All Rights Reserved.